Obtaining Florida Business Owners Insurance Quotes Online is easy with Click & Save Insurance. 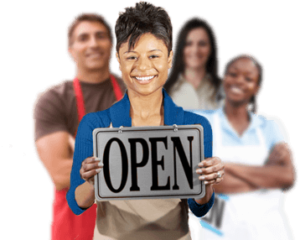 Find the most affordable Florida Business Owners Insurance available based on your unique business needs. Our team of business insurance professionals are here to assist you. Call us today at 1-813-643-7770 for all of your Florida Business Insurance needs, or click here. Does my Company need Business Owners Insurance? Florida Business Owners Insurance (also known as a Business Owners Policy or BOP) is a policy that offers protection from all major property and liability risks in one package. Companies can also secure these coverages separately. If your business is located outside your home, you have less than 100 employees, you have property or equipment to protect or you want to protect investments you have made in your business, you may need a BOP. A BOP bundles multiple coverages and when you bundle, you save! What does Florida Business Owners Insurance cover? General Liability: Personal & Advertising Injury, Bodily Injury, Medical Payments & Property Damage.